Seems like a thread that needs to happen now as well. A script is still in development and Warner has not set a release date, though the movie is unlikely to come out before 2018. Mr. Silverman would not comment on what other heroes might join Superman, Batman and Wonder Woman in the movie. However the studio has recently been casting the role of Cyborg, a half-robotic hero who is expected to have a cameo in “Batman vs. Superman” and then appear in “Justice League.” Other DC heroes who have been in Justice League comic books include Aquaman, Flash and Green Lantern. The plans for three superhero movies in relatively quick succession show how intent Warner is on catching up with rival Walt Disney Co.’s Marvel Studios in building a cinematic superhero universe after years lagging behind. Although the “Dark Knight” trilogy was a hit, Warner’s other efforts such as “Green Lantern” and “Jonah Hex” have flopped. 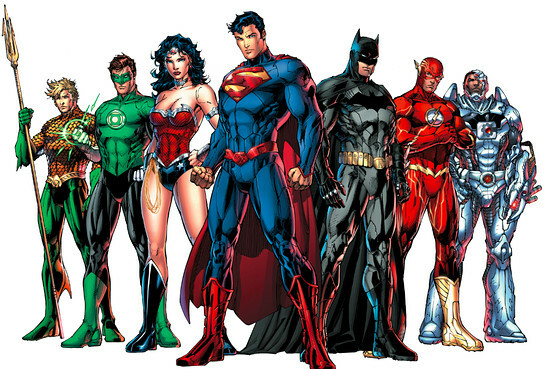 A “Justice League” movie with a young cast that was to be directed by George Miller of “Mad Max” fame nearly went into production in 2008 but was killed at the last minute. And while there are no plans yet for a “Justice League” spinoff featuring Ms. Gadot’s “Wonder Woman,” Warner executives said they are warm to the idea. So I'm guessing justice league is being film back to back with BvS. If this is how DC/Warner Bros are going to do things, then their "phase 2" (if it gets there) needs to just be solo films of every JL hero. With the Shazam news, The Rock is almost certainly Black Adam then. Last edited by HM on Thu Apr 16, 2015 6:32 am, edited 8 times in total. I'd love a Metal Men movie. By this point I was under the impression that the Batman/Superman film was just a defacto Justice League film with the amount of characters that kept getting rumoured/announced for it. Can't believe it's taken DC this long to start following Marvel's lead. Lagamorph » Mon Apr 28, 2014 9:06 am wrote: Can't believe it's taken DC this long to start following Marvel's lead. They're not really though. Marvel's success was built on slow-burning development and risk-taking but all Warner Bros have seen is a shared universe and a ton of money, now Snyder made a reasonable amount of money with Man of Steel they'll probably hand him everything. Probably would fare a lot better than Batman Vs Superman. I know there will be a massive bro-fist between Batman and Superman at the end, with each other showing their mutual respect for each other in a cheesy way. Needs stephen amell as the arrow. Great news! And what I hoped for as there is only so much story you can tell in one movie, i'm hoping SvB is a self contained story that features the other characters that leads into The Justice League. I read an interview with David Goyer who said Warner Bros. are not trying to emulate the Disney/Marvel business model. They are just taking their time to tell the stories. So far they have released a grand total of one movie in this new DCCU. The DCTVU is doing a better job, they should probably just stick to that instead. Well this sounds like another mistake. The hell is a Metal Man? It's a fairly obscure DC comic. I only remember it from the Amalgam Comics' Magneto and the Metal Men. Corazon de Leon » Mon Apr 28, 2014 11:06 am wrote: It's a fairly obscure DC comic. I only remember it from the Amalgam Comics' Magneto and the Metal Men. I'd imagine that didn't go particularly well for the Metal Men. He was the leader of the Metal Men. Amalgam Comics was the bizarre imprint of Marvel and DC which led to the Wolverine/Batman hybrid, and the Superboy/Spider-Man amalgam. There was also a really cool X-Force/Doom Patrol mash up. Floex » Mon Apr 28, 2014 12:06 pm wrote: The hell is a Metal Man? Self-aware robots. Their new origin was a recent arc in Justice League and it was amazing. Yeah I've really enjoyed the recent JL issues with them in and because Cyborg is getting some focus. The world needs a Metal Men movie. Not before a (good) Wonder Woman film though. Azzarello's run would be a good place to crib from for that. I never understand why they don't get comic book writers more involved in these films. It's worked really well on the small screen for Smallville and Arrow.